Several churches in Jefferson County are coming together to host a series of luncheons during Passion Week. Beginning Monday, April 15, and going through Friday, April 19, the luncheons will begin at noon each day. All of the lunches will take place at the Culver Christian Church, but a different church will host each day. On Monday, the Metolius Friends Church will host and Tuesday, the Madras Free Methodist Church will host. Wednesday's and Thursday's luncheons will both be hosted by the Culver Christian Church. To finish out the week, the Madras Christian Church will host. Each day, during lunch, the pastor of the church hosting will speak to attendees. The events should end by 1 p.m. The lunches are free and all community members are invited to attend. The Lutheran Church of the Good Shepherd and St. Mark's Episcopal Church have scheduled worship services for Holy week and all community members are welcome to attend. On Palm Sunday, April 14, the worship and communion service begins at 10:30 a.m. with Sunday school for ages 5 years old through adult beginning at 9 a.m. A potluck will follow the worship service. 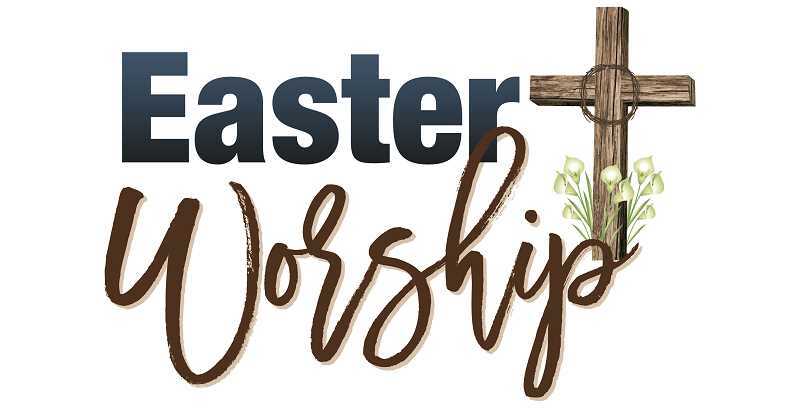 A Maundy Thursday worship and communion service, including a hand and foot washing, will be held on April 18, at 7 p.m.
Easter day Sunday school will begin at 9 a.m., followed by a worship and communion service at 10:30 a.m. Following the service, there will be a fellowship hour beginning at 11:30. The church is located at 395 SE C St. in Madras. For more information, call the Lutheran Church of the Good Shepherd and St. Mark's at 541-475-3578. Madras United Methodist Church's Holy Week services and events begin with Palm Sunday service at 9:30 a.m., April 14. Maundy Thursday, April 18, there will be a Seder Supper and Communion at 6 p.m. A Tenebrae service will be held at 7 p.m. Friday, April 19. The annual Easter egg hunt will be held at 10 a.m. Saturday, April 20, and is open to the public. On Easter Sunday, April 21, there will be a 9:30 a.m. Celebration of Remembrance Service. All events will be taking place at the church at 49 NE 12th St. For more information, contact the church office at 541-475-2150. On Easter Sunday, April 21, on the top of Round Butte, there will be a sunrise service open to anyone in the community. The service will begin at 6:10 a.m. and last about a half an hour in total. The service will include several songs and a short message.